The peregrine is a large and powerful falcon. It has long, broad, pointed wings and a relatively short tail. It is blue-grey above, with a blackish top of the head and an obvious black ‘moustache’ that contrasts with its white face. Its breast is finely spotted. It is swift and agile in flight, chasing prey. The strongholds of the breeding birds in the UK are the uplands of the north and west and rocky seacoasts. Peregrines have suffered illegal killing from gamekeepers and landowners, and been a target for egg collectors, but better legal protection and control of pesticides (which indirectly poisoned birds) have helped the population to recover considerably from a low in the 1960s. Some birds, particularly females and juveniles, move away from the uplands in autumn. Nationally, Peregrine populations plummeted during the Second World War, because of the threat they posed to the carrier pigeons. During the 1950’s and 60’s they declined further as a result of toxic farm chemicals, and they disappeared from most parts of southern England. Numbers have recovered since, and there are now about 1500 pairs. After a long absence in Gloucestershire, in 1982 a pair raised young near Symonds Yat. They returned the following year, but the nest was robbed on two occasions. The RSPB introduced wardening on the site, and since then they have enjoyed high breeding success. In 1991 a second breeding pair was located in the Forest of Dean, but by 1999 five pairs were breeding in the west of the county. In 2002, nesting took place in the Cotswolds, and in 2007 on Gloucester Royal Hospital. In 2010 a pair raised young in a nest-box on Christ Church in Cheltenham. 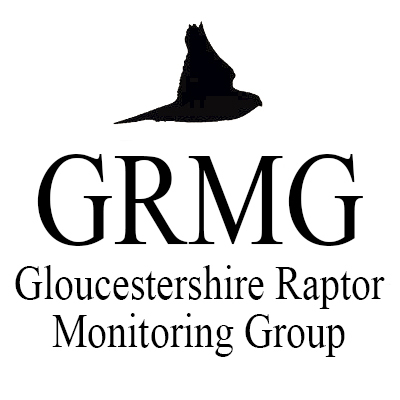 The prospects for Peregrines in Gloucestershire looks good, though they still face persecution from certain quarters. Outside the breeding season, Peregrines can be encountered anywhere in the county.